Whether you need t-shirts for Slope Day, personalized drinkwear for next month’s family reunion, or custom pens for your business, we can print it! 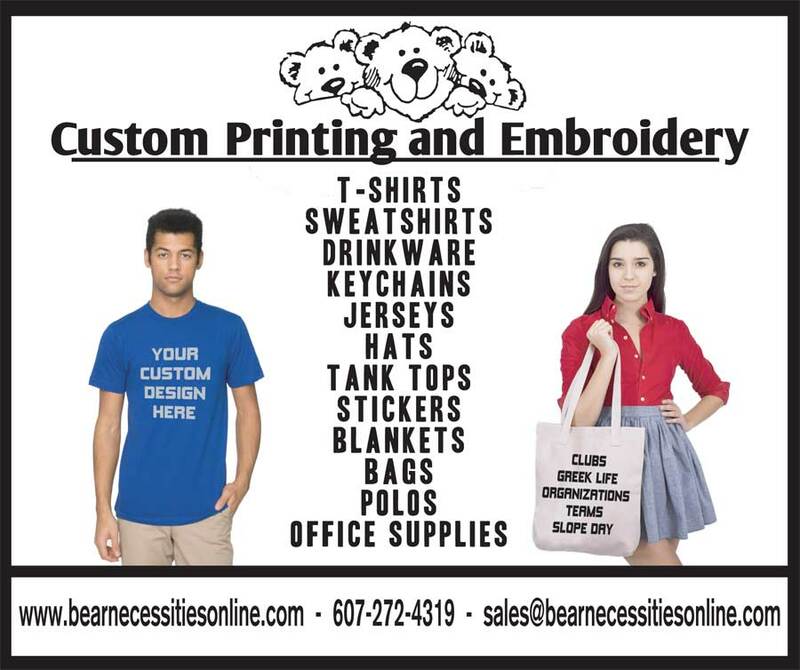 We offer a huge selection of merchandise ready to be printed with your personal logo. Our in-house graphic designer can work with you to create the perfect image for you. Get started now! You can browse and search for products at http://bearnecessities.espwebsite.com/. 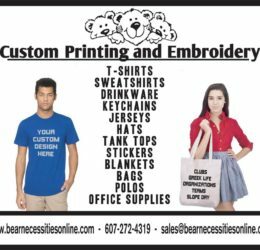 And when you’re ready to place an order or need any assistance, call 607-272-4319, email us at orders@bearnecessitiesonline.com, or stop in the store at 413 College Ave in Ithaca, right next to CTB!